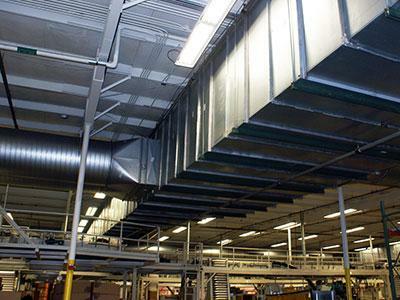 As one of the largest sheet metal contractors in the Kansas City area, P1 Group processes an average of 730,000 lbs of metal through our sheet metal shop located in Lawrence, Kansas. 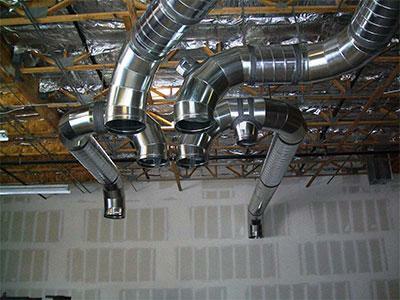 Using fine-tuned, professional techniques, P1 Group provides strict cost control without sacrificing quality We offer complete sheet metal construction services in ductwork, alloys, dust collection and more to a variety of industries. We can build it! 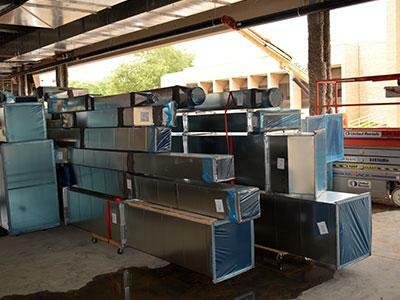 To learn more about our Sheet Metal Fabrication, click here.